The Constitutional Court will on Friday the 24th of August make a determination on an election petition by MDC Alliance Presidential candidate Nelson Chamisa who is challenging Emmerson Mnangagwa’s victory in the July 30 presidential election. Malaba made the announcement after all the parties had made submissions before the Constitutional Court bench in Harare this evening. Earlier in the morning, the Constitutional Court dismissed without costs submissions by pro plaintiff respondents on technical basis with Chief Justice Luke Malaba saying their papers were not properly submitted before the court. The respondents who includes Noah Manyika of Build Zimbabwe Alliance, Peter Willard of Democratic Opposition Party, Daniel Shumba of United Democratic Alliance and Elton Steers Mangoma of Coalition of Democrats cited respectively as 5th, 6th , 17th and 20th respondents had submitted their papers which the court ruled were bringing new evidence instead of supporting the plaintiff application. The universal argument raised by both Zimbabwe Electoral Commission (ZEC) and President Emmerson Mnangagwa lawyers before the jury was that the respondents’s papers were not filed according to the law. The argument fronted was that if the respondents were aggrieved in the just ended elections, they should have filed their applications within the seven days as stipulated by the law. The respondents argued that since they were cited and that they were interested parties in the matter they have a right to be heard as per the constitutional provisions. 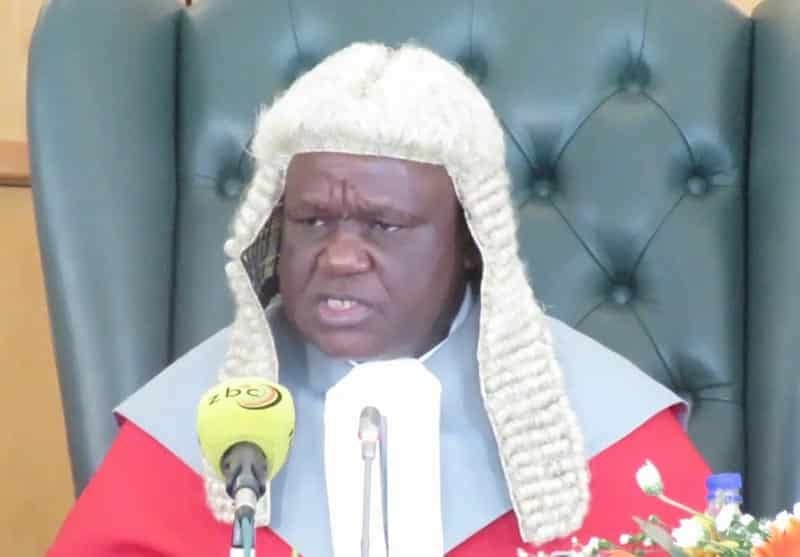 However, Justice Malaba ruled that it was the universal verdict passed by the bench to pull off the court record pledging to provide the reasons for the decision in the main judgment. Earlier on in the day, Chamisa’s legal team from South Africa were denied entry into the courts amid indications that they did not get the necessary permits from the ministry of Justice. Chamisa is challenging the 2018 presidential elections results which he allege where rigged in favor of Zanu PF leader Emmerson Mnangagwa who ZEC declared the winner with 50.8 percent to the plantiff’s 44.3 percent on the 3rd of August. Once a ruling on the matter is passed, it will be final and cannot be challenged. If the Court upholds Mnangagwa’s poll victory, he is expected to be inaugurated within 48 hours as stipulated under the Electoral Act.